Joomla! 3.3 has been released! It is always great to wake up to the news of a new Joomla release from the tireless Joomla community and this morning we have the pleasure of exactly that. This release boasts to be the most stable Joomla release ever which I'm sure we can all agree is music to our ears. With every Joomla release we always expect a number of new features for us to play with and this one is no different. 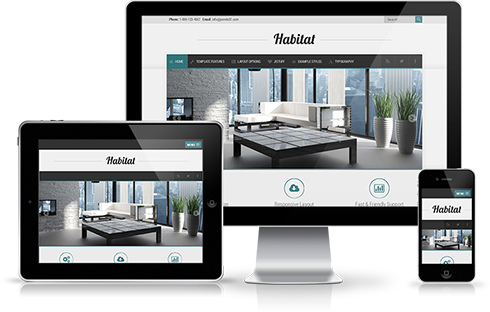 The theme for this Joomla! release says it all... "Do more with Joomla!” You will find however that the improvements are a little more subtle than in previous releases as a lot of the focus for this release has been on site security, SEO and loading speeds. Although we have tried to accommodate these browsers for as long as possible, we have finally decided to no longer support both IE7 and IE8. As with many template providers we no longer find it possible to support these browsers while been able to utilise modern CSS3/HTML5 technologies and common web design best practices. Joomla! 3.2 has been released! Today we are delighted to announce that the Joomla! community have just released Joomla! 3.2. This latest installment of everyones favourate CMS includes plenty of great new features and improvements for us to get our teeth in to. 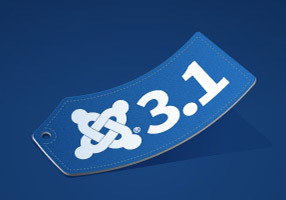 Recently announced was the release of the excellent Joomla 3.1. Joomla 3 was the latest major release of the Joomla CMS, with Joomla 3.1 the second minor release in this series. Upgrading from Joomla 3.0 to 3.1 is a one-click upgrade with backward compatibility. If you're running a Joomla 3.0 site, simply use the one-click upgrade to get the new features and the latest bugs fixes for 3.1. All Joomla51 templates currently available Joomla 3.0 are also fully compatible for Joomla 3.1. If you are currently running Joomla 3.0 using a Joomla51 template you can upgrade to Joomla 3.1 without any need to for an update to your template. As many of you would know the release of Joomla! 3.0 is just around the corner and with it the introduction of the much talked about Bootstrap interface library, bringing with it great improvements to the Joomla! user experience. Previously with Joomla!, extension interfaces (templates included) tended to be a bit of mixed bag varying greatly from one extension to the next depending on the developers involved. This left users having to relearn the interface with each new extension added to Joomla! and developers having to allow for different interfaces with each extension. We are pleased to announce a huge update to our template framework. This new framework is a collaboration of months of work by the Joomla51 team, combining some of the most used and asked for features within an easy to use and beautifully styled interface in which you can now quickly customise your template to your own needs and have your site up and running in a matter of minutes. All templates released from March 2012 can avail of the extended versatility offered with the new framework. It has been a long time in coming but we have finally set up our Joomla51 forums. Those familiar with Joomla51 have known we have largely offered support for our templates via email. Although this has worked well for our Joomla51 users in the past, for the sake of the masses we have decided it would be best to offer that support on a forum based format. JoomlaTemplates.com differs from most template listing sites in that they individual review each and every template they post so you can get an informative and non-biased opinion of templates from all the top developers before you commit to making a purchase. Its easy to see that these guys are passionate by what they do which is very apparent in the efforts they go through with each review, rigorously testing each template from the ground up before posting their opinions in a well written and descriptive manner. Welcome to the Joomla51 Blog, your source for Joomla news, extensions and template releases. Joomla is an open source content management system (CMS) which is versatile, easy to use and allows you to set up a professional looking website in a short space of time. Over the next months we will share our choice of favourite templates, articles, news and all things Joomla . If there is any content you would like included here please drop us a line. Enjoy!